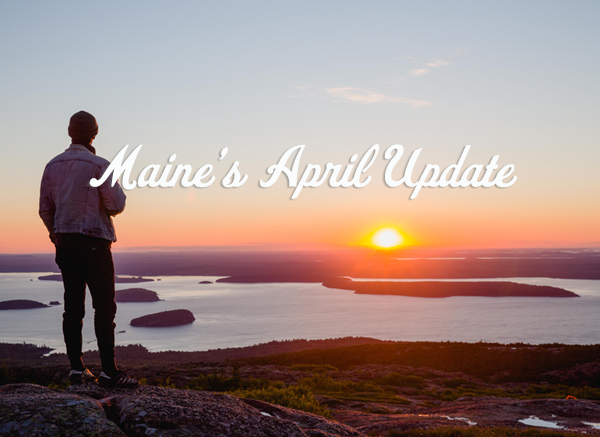 April 2019 — The first glimmers of spring are arriving in Maine. April is the month when spotting returning birds is a fantastic excuse to get out and enjoy the outdoors. It’s also the month when everyone has an equal chance of getting a coveted reservation at The Lost Kitchen in the town of Freedom. 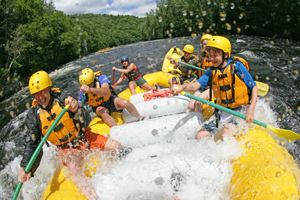 For those planning ahead, there’s a major Jamie Wyeth show on the horizon, themed windjammer cruises to book and wet thrill rides to be had rafting on Maine’s fabled rivers after this year’s monumental snows. For writers, editors and bloggers looking for short-lead news, you’ll find immediate details under Happening Now. Those in search of longer lead news can scroll down to the Looking Ahead section. Chef Erin French owns the much-acclaimed restaurant, The Lost Kitchen. She’s authored a cookbook, “The Lost Kitchen: Recipes and a Good Life Found in Freedom, Maine” and is a three-time James Beard Award nominee. But if you’d like to dine at The Lost Kitchen, located in a former gristmill in Freedom, Maine, it’s time to get creative with a postcard. Last year, Chef French decided to ask potential diners to send a postcard in to make a reservation for dinner. If they were chosen, they’d figure out the best day and time. Some 20,000 people did just that and French has decided to do the same thing for 2019. So anyone who would like to dine at The Lost Kitchen this year needs to write their name and contact info on a 3x5 notecard, add a personal note on the back if they care to, and mail it to the restaurant. Cards must be postmarked between April 1 and 15, 2019, with one entry per person. The staff will begin selecting cards shortly thereafter. If your card is selected, you can then request a specific date. Go to The Lost Kitchen for more details. Maine is on the Atlantic flyway and every spring, dedicated birders can catch the first sighting of warblers, vireos, orioles, flycatchers, Canada geese and other seasonal visitors on their way north. Thanks to its protected bays, islands and estuaries, the Maine coast offers a unique and beautiful environment for spring birdwatching. Feathers over Freeport, which runs this year on April 27 and 28, 2019, celebrates early arrivals with a two-day festival. On Saturday, April 27, birdwatchers flock to Bradbury Mountain State Park. The next day, everyone heads to Wolfe's Neck Woods State Park. There are hawk-watching workshops, an osprey watch and two days’ worth of family-friendly activities. The Wings, Waves & Woods Festival in Deer Isle and Stonington, from May 17 to 19, is an annual gathering for dedicated birders. On the schedule are boat trips to Seal Island, with a good chance of sighting Atlantic puffins, razorbills, common murres, black guillemots, and great cormorants. 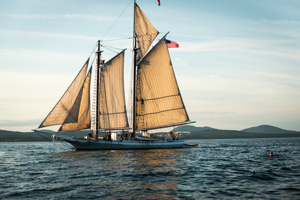 From May 30 to June 2, the Acadia Birding Festival on Mount Desert Island offers speakers, bird walks and an offshore trip. 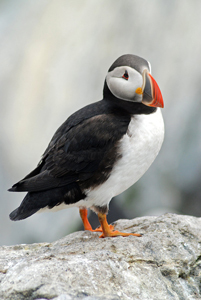 Go to Visit Maine for details on the Maine Birding Trail. From the late 1960s onward, Phyllis Mills Wyeth (November 13, 1940 – January 14, 2019) was a muse to her husband, artist Jamie Wyeth. The selection of his paintings assembled in this exhibition at the Farnsworth Art Museum are a memorial tribute and reflect Phyllis Wyeth’s vibrant spirit and love of nature, horses and her ever-present dogs. Included are 29 paintings and drawings, ranging from the artist’s first portrait of her (Phyllis Mills, 1967)—depicted outdoors and covered in fallen leaves—to more recent work, such as the lushly painted Overslept (2018). In these works, Jamie Wyeth captured the many facets of his wife’s remarkable life. Exhibition from June 8 to September 8, 2019. 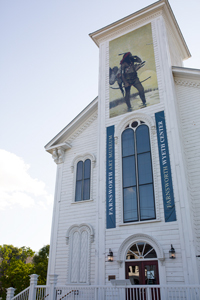 Visit the Farnsworth Art Museum.